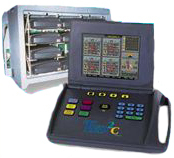 Electronic Bingo provides players with a unique, innovative bingo experience. 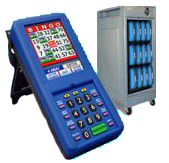 The portable electronic bingo daubing units add to the entertainment experience while creating additional revenue for your existing bingo game. 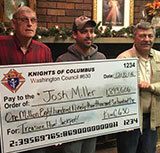 The best part of the program is that you do not need to purchase any hardware to get started. You simply pay for the units that you use each night. 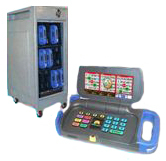 The three electronic bingo units that we offer are detailed below. Electronic Bingo is only legal in four states where Nannicola conducts business - Ohio, Pennsylvania, Kentucky and Illinois. If you are interested in learning more about the electronic bingo units, contact our Inside Sales Department at 1-800-837-2789, email us at isales@nannicola.com or contact your Nannicola Sales Rep directly.